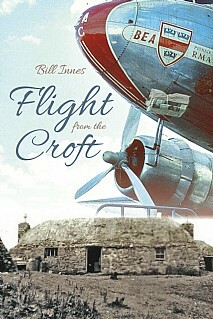 As a barefoot lad in the Outer Hebrides, Bill Innes dreamed the impossible dream of becoming a pilot and this book tells how that dream came to pass. The author’s career of over forty years spanned a period of incredible advances in the air – now regarded as a golden era in aviation. After gaining his RAF wings in Canada he really started to learn his trade by flying pre-war Dakotas for British European Airways around the Highlands and Islands of Scotland – one of the most testing aviation-operating areas in the world. The experience was to stand him in good stead as he moved to London to fly classic 20th century British aircraft such as the Viscount, Comet, Vanguard and Trident. The narrative comes alive through tales of the many characters encountered in a time before flight recorders. There are authentic versions of some of the most famous anecdotes in the folklore of the sky, but also reflections on training philosophy and techniques which have a relevance outwith aviation. Along the way he explored his limits, barnstorming vintage aircraft in Tiger Club displays – surviving one breach of those limits which should have proved fatal! Progressing to being a training captain, Bill was happy to pass on his experience to colleagues. As one of the team that introduced the Boeing 757 to British Airways, post-retirement, he was privileged to be the trainer on the first flights of charter airlines such as Air 2000 and Canada 3000 before his swansong, flying long range Boeing 767s for Alitalia. Technical background is lightened by the thread of humour which runs throughout and there are also some sage words of comfort for the nervous passenger. Will be of special interest to the aviation community, passengers past and present, as well as providing an insight and authentic feedback from the pilot’s side of the cockpit door for the general reader. An entertaining and lively read!